Fairy tale fever has descended on New York City. Broadway fans are flocking to "Red Riding Hood: The Musical"; museums are exhibiting art inspired by the Brothers Grimm; and Clare Cosi gives her coffee truck a "Jack and the Beanstalk" makeover for a Central Park festival. Clare's coffee hunter ex-husband contributes a bag of African beans with alleged magical properties. 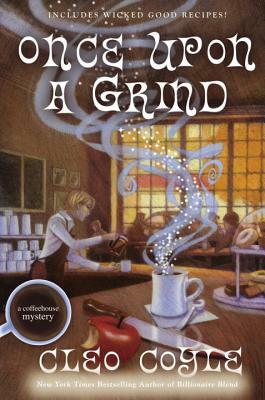 His octogenarian mother entertains customers with readings of the grinds, but Clare remains skeptical--until she receives a vision that helps her find a young model's body in the park's woods. The police dismiss "sleeping beauty" as the victim of a drug overdose. Then Clare uncovers evidence that points to a roster of suspects, from a wolf of Wall Street to a New York Giant and a wicked witch of the West Side. Now Clare is really in the woods--with a dangerous predator on her heels and an investigation that leads from a secret Prince Charming club right back to her own NYPD detective boyfriend. If she doesn't solve this mystery, those magic beans predict an unhappy ending. CLEO COYLE is a pseudonym for Alice Alfonsi, writing in collaboration with her husband, Marc Cerasini. Both are" New York Times" bestselling authors of The Coffeehouse Mysteries, now celebrating over ten years in print. Alice and Marc are also bestselling media tie-in writers who have penned properties for Lucasfilm, NBC, Fox, Disney, Imagine, and MGM. They live and work in New York City, where they write independently and together, including the nationally bestselling Haunted Bookshop Mysteries.